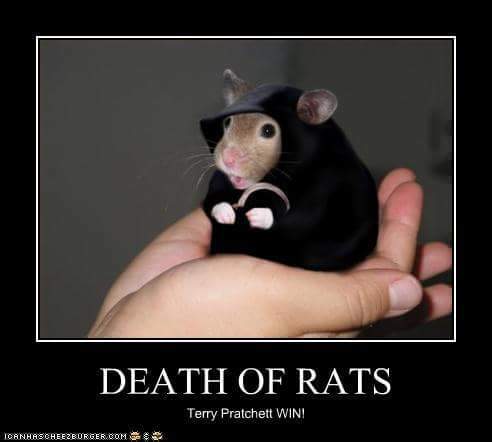 In one of his masterful Discworld books, Terry Pratchett created the Death of Rats, and now he comes to lead little Peaches on her way over the rainbow bridge. 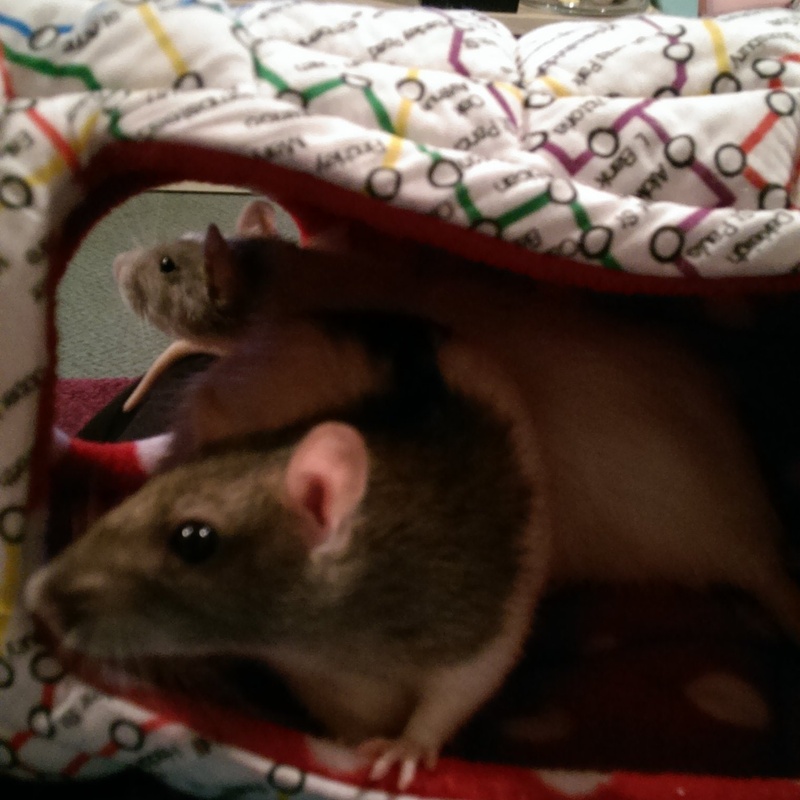 A few weeks ago Peaches had a stroke, resulting in left side paralysis and weakening. Since then, sadly she’s declined, struggling to move around and not eating or drinking. There have been a few tumbles and a case of lose bladder while having a cuddle. Her sisters know something’s wrong, cuddling her and washing her face, while the boys are being a lot more gentle. We’ve made the sad decision to aid her on her way at the vets’, wanting to put her beyond pain and suffering, rather than dragging it out. I know this will be the best thing to do, but it is very sad. If you’d told me a year ago I’d care this much about small rodents, i’d have laughed. 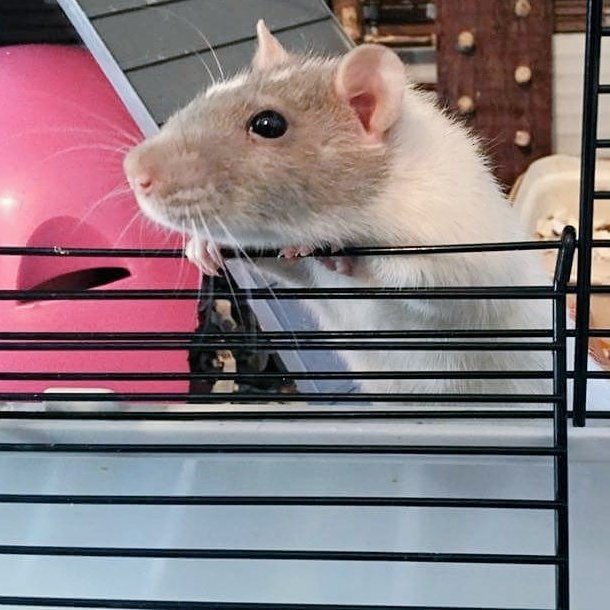 At least I know The Death of Rats will be there to gently take her little paw and lead her to her rest. SQUEAK.